I'm a former resident who rents here during the winter. Thevillages.net staff is very good at adding me on for my time here and are easy to get the subscription cancelled. Very much worth the $8. Also you can request guest passes on it. This saves time when picking up passes at the recreation centers. been using phone system for 9 years, never a problem getting tee time or unused tee times. Takes about a minute or two. Checking my tee times, about 15 seconds. If you know what # to hit, you don't have to listen to all the voice instructions telling you what # to hit. It use to be free. I'm new to the villages and recently came across this site. Looks like it cost $8.00 per month. Is it part of the villages? 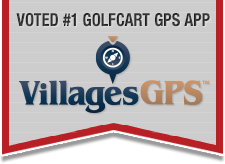 What is it used for, it looks like you can make online tee times, and some other village information is available. Is it worth the $8.00/month? The only thing you pay $8.00 a month for is an email address and online access to the tee time system. Everything else on villages.net is available without a monthly charge. If you are a golfer it will probably worth the monthly charge. If you don't pay the monthly charge you have to use the telephone to make reservations which is inconvenient. So if everyone already has it, and you only need one person in your party to make the reservation, it stands to reason that chances are - someone in your party already is paying for it so let them make the reservation on behalf of the party. Guest ID’s can also be requested at Village Community Development Districts under recreation department. Good lord, it's only $8 freaking dollars per month. It's not like you're paying $25+ to get a car washed, $50+ to get your lawn mowed or going out for "fine dining". It's only 3 sausage bisquits, 3 hash browns and 3 senior drinks at McD's for the major convenience of easily navigating the tee time system. To each his own...that's the key. Glad you ended with that. That may be taken as offensive by those that had to pay for it.